Here’s a growing list of marketing sites that are no longer in operation. 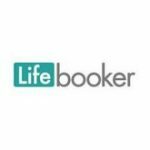 What it did: Lifebooker was a light marketing SaaS-based solution for small and midsize businesses providing marketing and yield management tools. Why it closed: Difficulties with scaling and sustainability forced Lifebooker to shut down. What it did: An AI based social media assistant that develops a deep learning model to improve social media posts and gain followers for its users. 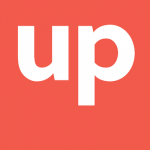 Why it closed: Acquired by Uber. What it did: A next generation customer feedback platform that predicts customer behavior, collecting data, analyzing results and responding to customers in real time. What it did: Offers customers incentives to engage in client apps and provides free data for mobile app users. Why it closed: Unable to remain viable against competitors that offered cheaper data offerings. What it did: A creator-friendly, independent video hosting platform that stores and delivers videos to its users. Why it closed: Struggled to generate the profit margin required to cover the cost of storing and delivering videos. What it did: A social customer relationship management platform that provides text and social analytics, as well as engagement applications to its users. 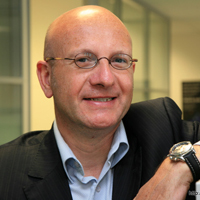 Why it closed: Underwent a management buyout with its German partner, Empolis. What it did: A free, text-based mobile Q&A service in the U.S. designed to help advertisers and marketers connect with their customers in real time. Why it closed: The rise of smartphones made it difficult for ChaCha to keep up with competition, including managing the cost and scaling its business. What it did: A digital media company that provides customized marketing and advertising solutions for branded properties. Why it closed: Unable to keep up with other digital media consolidating companies and began selling its set of brands to competitors in 2016. What it did: A startup that builds mobile sales tools and brings the full sales workflow into one app for its users. Why it closed: Team members of Immediately acquired by New Relic. What it did: An image tagging advertising startup that provides a platform for users a tagging technology that lets users tag people, places and objects in an image. Why it closed: Was not able to scale fast enough and turn a profit to sustain the cost of its operations. What it did: Localzz was a digital media company and a destination for local information, directories, and listing sites. Why it closed: Localzz Media partnered with a private company to create a roadmap to go public. What it did: Blippar was a technology company specialising in Augmented Reality and Computer Vision (AI). Why it closed: Blippar failed to pull together an emergency funding deal. 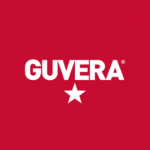 It was just recently acquired by Candy Ventures..
What it did: Guvera was a music and entertainment streaming service which allowed users to search, discover, play, manage and share music for free. Why it closed: Guvera was losing tens of millions of dollars. Even the impressive fundraising it accomplished wasn’t enough to offset the massive losses. What it did: Pop Up Archive was an online platform of tools for organizing and searching digital spoken words making sound searchable using cutting edge speech-to-text technology. Why it closed: Pop Up Archive was acquired by Apple. 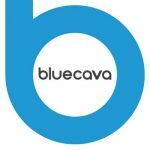 What it did: BlueCava was a provider of cross screen reaching, targeting and measuring products for brands, advertisers, data companies and adtech players. What it did: Twelvefold was a marketing company that identifies and targets specific consumers for their clients products and services. 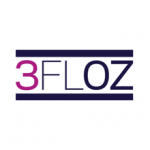 What it did: 3FLOZ was an automated retail solution featuring TSA-friendly products all conveniently sized under 3 fluid ounces. What it did: Trada was a performance-based paid search solution for companies advertising on Google, Yahoo and Bing.When a customer launch a campaign, Trada assigns online advertising experts to the campaigns, and do the work on the customer’s behalf. Why it closed: Trada was unable to pay its creditors who has rights to all Trada’s assets as collateral. What it did: A mobile marketing company that provides digital marketing solutions for mobile apps and games. Why it closed: Acquired by WeQ. We’ve scoured the web for digital marketing influencers with a robust social media presence and put together the list below of the top Digital Marketing Influencers of 2019. Our goal for this list is to present helpful tips right from the digital marketing experts themselves. We found that the influencers listed have outstanding credentials, expertise, and skills pertaining to the technology industry as well as an impressive quantity of social media followers. What is your top digital marketing tip for small business owners? Make your home on the web (your website) something special. Although apps appear to be stealing time away from websites, rest assured you’re not going to win over customers unless they can find your site, find what they’re looking for on it, and feel comfortable there. Don’t scrimp on the writing, design and development resources it takes to make your domain shine. Barry Feldman is the author of three books including the highly praised personal branding manual, The Road to Recognition. Feldman operates Feldman Creative and provides content marketing consulting, copywriting, and creative direction services. He contributes to top marketing sites and was named one of 25 Social Media Marketing Experts You Need to Know by LinkedIn. Show you are the ‘go to person’ for your industry. Choose a niche and be prominent in that niche. Share your knowledge, assist others and engage with your audience. Answer questions then take the relationship offline to DM [direct message] or private message, Skype call, email, phone, or even coffee. 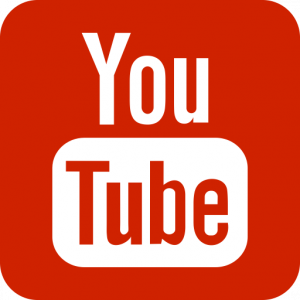 Use video to build trust. When people know, like and trust you, they will buy from you. 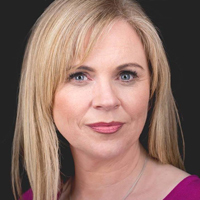 Samantha Kelly is passionate about teaching businesses how to leverage social media effectively and add real value to their business. 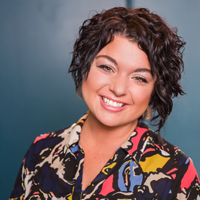 She works with clients to progress brand growth, defining social media strategy with clear and precise targeting. Ultimately, increasing the correct audience reach for business. She is also a connector of dots and community builder. Put your audience’s needs before your own: It’s easy for marketers to get wrapped up in all the possibilities of digital marketing and to lose sight of the core mission. Ultimately, we’re trying to engage our ideal audience and build a relationship that leads to positive engagement and conversion. To do that, we need to acknowledge that the information, experiences and products our audience wants may be different than what we are currently giving them. Successful marketers acknowledge the audience’s needs and create campaigns based on those needs. 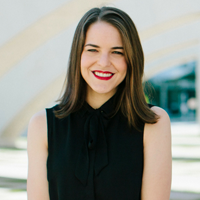 Melanie Deziel is the founder of StoryFuel, which consults with brands looking to create, expand or optimize their branded content teams, processes and practices. Deziel travels the world giving keynotes and corporate workshops that teach marketers, publishers, creators and companies how to create the best possible brand storytelling. Prior to founding StoryFuel, She was the first editor of branded content at The New York Times, a founding member of HuffPost’s brand storytelling team, and served as Director of Creative Strategy for Time Inc’s 35 United States Magazines. Be sure to pick your top three key performance indicators (KPIs) when it comes to digital marketing. In other words, how will you tie your digital activities to business goals? Perhaps you’re looking for more brand awareness or share of voice, so your KPIs focus on traffic from social media or increase of fans/follows. In any case, be sure you’re tracking your KPIs so you can show solid results on your time spent on digital marketing. 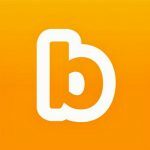 Brooke B. Sellas is the CEO & Founder of B Squared Media, an award-winning done-for-you social media management and advertising agency. In 2018, she was named a Top 25 Brand Builder & Woman Entrepreneur in New Jersey. Sellas’ marketing mantra is “Think Conversation, Not Campaign” so be sure to give her a shout on Twitter. CEO & Founder, Truly Inc.
Keep time sheets from day one. Even if it’s just you and you’re not billing by the hour, it will help you with your efficiency going forward ― estimating, figuring out where you should hire, etc. Also, if you train yourself to keep timesheets early on, you won’t have a tough time creating a culture of adoption going forward. 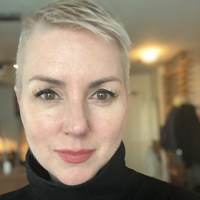 Tara Hunt, CEO of Truly, has more than 20 years of experience in market research and strategy on both client and agency side. She wrote one of the first books on how the social web is changing business, was named one of 2013’s Entrepreneurial Women to Watch by Entrepreneur magazine and one of the Most Influential Women in Technology in Fast Company. 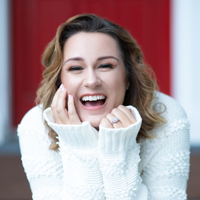 She has built an engaged and enthusiastic business audience online of more than 345,000 followers, including a significant number of thought leaders. You have important content to share, and it’s critical to converting your audiences into customers. However, chances are your messages aren’t being heard over the cacophony of communications. Therefore, use the primal and/but/there (ABT) narrative structure to connect with your audiences and move them to action. The ABT works because it’s perfect three-act story structure of set up/problem/resolution that our brains love, and you can do it in 50 words or less. It’s great to use on Twitter, Instagram, and other social media channel and to find the focused theme for all of your communications. 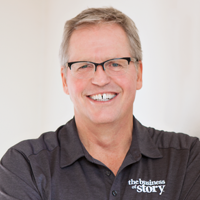 Park Howell, the founder of the Business of Story, has been in the branding world for 30-plus years, ran his own ad agency in Phoenix for 20 years, and has been steeped in brand storytelling for the past 10-plus years. 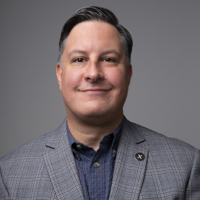 He now consults, teaches, coaches, and speaks on the power of storytelling to help leaders of purpose-driven brands clarify their stories to amplify their impact and simplify their lives. The most important skill any marketer can master is copywriting. All marketing, whether it’s something as tactical as a homepage headline, an email subject line, or a video script, or something as massive as an over-arching positioning statement still comes down to the marketer’s ability to translate a “big idea” into a tight, easy-to-consume package. Translating BIG IDEAS into as few words as possible is the essence of great copywriting. 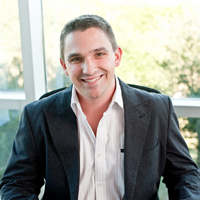 Ryan Deiss is co-founder and CEO of DigitalMarketer.com. 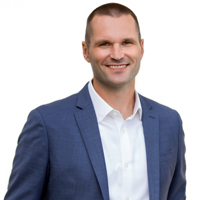 Deiss is also the founder and host of the Traffic & Conversion Summit, the largest digital marketing conference in North America, and the creator of the “Customer Value Optimization” methodology. Today, Ryan’s digital media and ecommerce group, RivalBrands.com, owns and operates hundreds of properties. Relationships will always be more powerful than marketing. Focus on building relationships first. Only work with clients you get along with and don’t worry about saying “no” to someone who isn’t right for your brand. When you have a true understanding of who it is you serve and who you don’t serve, your message becomes clear. Selected as Woman-Owned Business of the Year in 2018 and One of the Top 12 Global Rising Stars on Social Media to Watch in 2017, Jessika Phillips is on a mission to make relationships the forefront of business marketing. 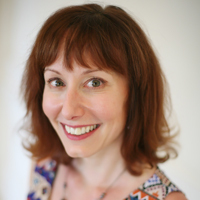 She’s known for this outspoken dedication to relationship marketing. Phillips believes in being a magnet vs a Bullhorn to connect with your tribe. It’s easy to get sucked into a frenetic vortex of digital marketing activities. There are so many nifty choices of platforms, media, and devices available. It’s imperative, therefore, to be selective about where you allocate your resources. To the extent that your strategy is precise, shared and well understood among your teammates and agency, make sure that the choices you make are directly correlated to your strategic imperatives. 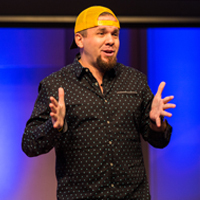 Minter Dial is a professional speaker, storyteller, author, and consultant, specializing in branding, new tech, and digital transformation. 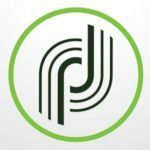 He is the author of three books, “Heartificial Empathy, Putting Heart into Business and Artificial Intelligence,” “Futureproof,” and “The Last Ring Home.” Previously, Dial enjoyed a 16-year career at L’Oreal, and also worked as an investment banker, multiple-time entrepreneur, and zoo manager. Pay attention to the trends being focused on by the next generation of consumers. It’s tempting to say it’s no big deal, but as that younger generation of consumer gets older, and gets a paycheck, they will influence commerce, and that impacts your business. The goal is to align your company’s business practices with what matters to that generation of consumers. Before moving to Yext, Duane Forrester was the vice president of operations for Bruce Clay Inc., and prior to this spent almost a decade with Microsoft. While there he ran Bing’s Webmaster Tools program and search engine optimization (SEO) at MSN. Duane also has two books published with McGraw-Hill, founded the InHouse SEM Committee and industry Salary Survey with SEMPO and has been speaking and keynoting at conferences around the world for the last 20+ years. Chief Marketing Officer, Photofy. MC & Host of Brand Innovators Summits. Speaker, Author & Provocateur. You are not your customer so do your research: One of the most important lessons every marketer should remember is to market to your target audience — not yourself. Listen to your prospects first — and social is just about the greatest listening tool ever invented. It’s focus groups on steroids. Use social media to listen to who your ideal customer is and what she wants before you start messaging. 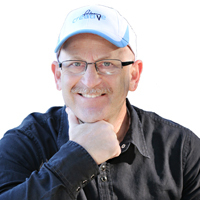 Ted Rubin is a leading Social Marketing Strategist, Speaker, Author, Provocateur, CMO of Photofy, and MC/HOST of Brand Innovators monthly Marketing Summits. 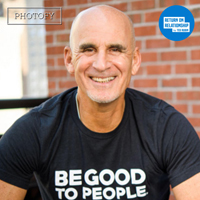 In March 2009, he started using and evangelizing the term ROR, Return on Relationship, hashtag #RonR. 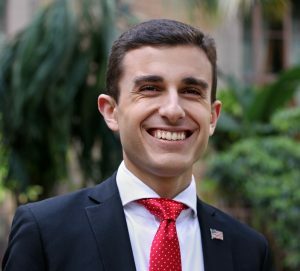 Many people in the social media world know Rubin for his enthusiastic, energetic and undeniably personal connection to people … #NoLetUp! The future of marketing is reliability and small business owners need to move beyond marketing and sales to build authentic relationships with customers and the community. Small business owners can shrink the distance between them and the consumer like never before by leveraging content marketing to tell stories. Building trust must be the focus of every small business in the digital space today. Choose the right platforms. Start by registering to all the popular social media platforms, then start researching them to see where the audience spends more of their time. You can also check on competitors and see how they are doing. That should give you some indication where your audience may be at. 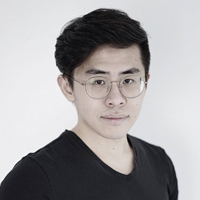 Aaron Lee is the Regional Manager for Asia at Agorapulse. Agorapulse pulse is the leading social media management platform for large companies and agencies. Lee also a leading authority on social media with more than 1.2 million followers on social media combined. Lead with yourself (not your company). Most small business owners lead their marketing efforts with their brand first. Flip the formula around. When you market yourself, you will be able to create relationships with others at a human level. As others get to know who you are, they will be more inclined to find out what you do for a living, and when they learn of who you are, they may find an interest in your business. 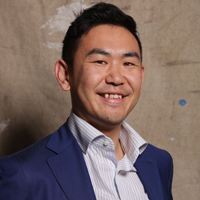 Leonard Kim is the author of the book “Ditch the Act: Reveal the Surprising Power of the Real You for Greater Success.” He’s been named a top marketing influencer by Forbes, a top digital marketer by Inc. magazine and a top personal branding expert by Entrepreneur Magazine. He holds workshops teaching executives and business owners how to build their thought leadership and escalate the success of their companies. First of all, you need to understand that every follower is a real person. You should always consider what you can do for them and what would help them. I believe your success in social media is a direct reflection of how much you care about people as the brand which is closest to the customer will always win. Alex Khan is an international entrepreneur, CEO of Attractive Media, keynote speaker, and social media and live video coach. As early as 2005, he was running one of the first social networks in Germany. Since then, he ́s founded Germany ́s largest professional modeling community and the first mobile marketplace for fashion that was later acquired by Burda Digital Ventures. Say what you are not. Most small businesses talk about who they are, what they do, the services they offer, and so on. All of this is fine, but it generally doesn’t have a powerful impact on web visitors and potential customers until you’re willing to say what your company is not and who you are not a good fit for. Why? Because the moment you’re willing to talk about what you’re not is the moment you become much more attractive to those who you are a good fit for. Called a “web marketing guru” by the New York Times, Marcus Sheridan wrote the landmark content marketing book, “They Ask You Answer” and travels the globe speaking on sales, marketing, and the future of business. 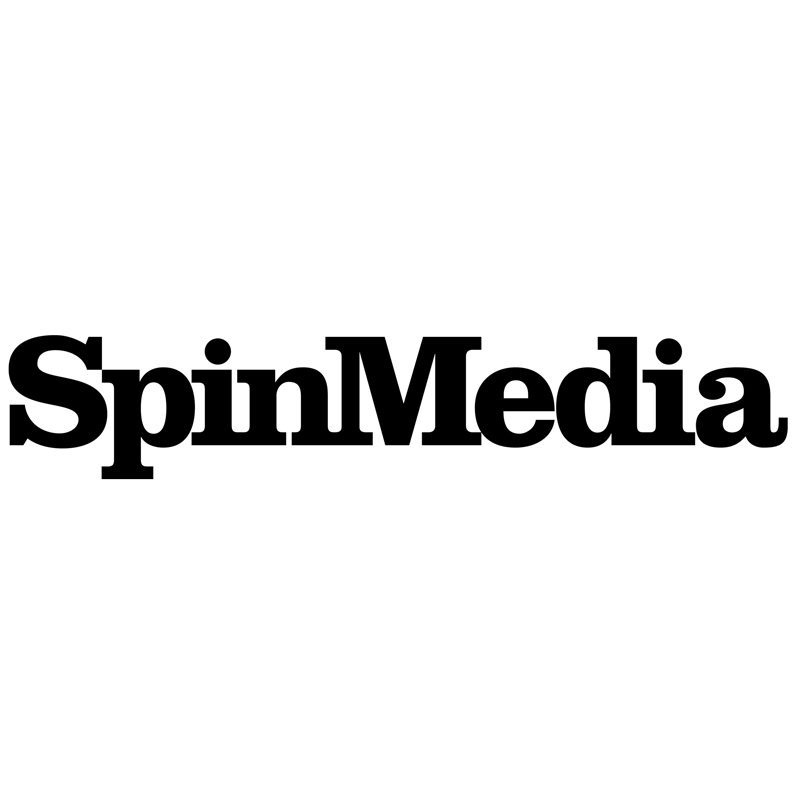 What is your top media digital marketing tip? Understand who in your industry influences your customers and build strong relationships with them. Pay it forward with them then ask for something in return from the influencer that helps your business get in front of their followers. Make sure it solves a customer pain point. 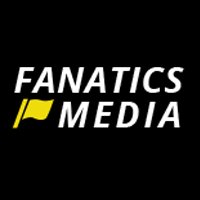 Fanatics Media has been in the influencer marketing industry since its arrival. It runs viral marketing campaigns for brands both in the business-to-consumer and business-to-business spaces. We like to activate influencer to influencer collaborations with YouTubers and Instagrammers, but our real passion is in organizing and creating content that resonates with audiences. This is where you see real success. Start with the end in mind ― have clear business objectives and work out a way that you can measure the results of your social media activities. Too many people concentrate on vanity metrics and then wonder social media is not generating business. 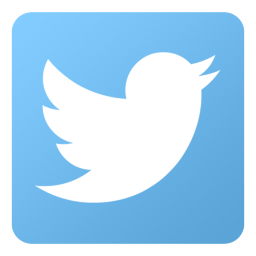 Use the analytic tools on Twitter, Facebook, LinkedIn, and Instagram to make continuous improvements to your social media activities. Internationally recognized and a top social media marketing influencer, Nicky Kriel trains, consults and speaks internationally including prestigious events like Social Media Marketing World in California. She is passionate about inspiring and empowering businesses to use Social Media to grow. She uses her background in corporate marketing and sales to help companies integrate social media into their own marketing and business strategies. Focus on business results, beware of “experts” and focus on business results. If your website is awful but is a selling machine, then you are on the right track. If on the contrary, some graphic designer has turned your web presence into an art gallery that does nothing for your business, go back to basics. Yann Gourvennec is the CEO and founder of the European Visionary Marketing digital marketing agency, he is also the program director of the Advanced Masters in Digital Strategy at Grenoble Ecole de Management. He is a marketer, specializing in web and content marketing, a teacher in marketing, keynote speaker and author. Start a newsletter. Yes, it’s fun to build an incredibly loyal readership of people who hang on your every written word. But, there’s another big benefit to publishing a newsletter — happy newsletter subscribers often convert into happy buyers. Besides, you can always repurpose your newsletter copy, add some graphics, and turn your brilliant content into a blog post or guide. 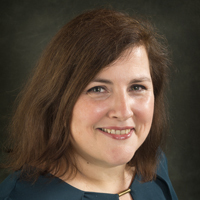 Forbes magazine called Heather Lloyd-Martin, “the pioneer of SEO copywriting.” A 21-year SEO industry veteran, Heather trains in-house and freelance writers how to write quality, top-positioned content that Google and readers love. Lloyd-Martin is also the developer of the SEO Copywriting Certification training, the only online training that certifies writers in current SEO writing best practices. Your Customer Drives Your Strategy, Not Your Service/Product: With the influx of technology and social media, it’s critical for small business owners to understand that their customers/audience is what they need to develop their marketing strategy around, not their product or service. Elements like online reviews and influencer marketing have in some ways become stronger assets for brands than traditional advertising. Consumers put more trust in each other than they do brands, and it’s critical for business owners to recognize and adjust their strategy accordingly. 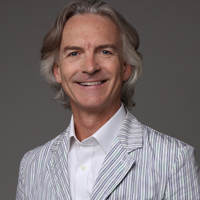 Richard Lorenzen is an American entrepreneur, speaker, and investor. He is the founder and CEO of Fifth Avenue Brands, a New York public relations firm providing media relations, strategic planning, and crisis management to the technology, finance and policy sectors.